Martinelli said the undeclared military cargo appeared to include missiles and non-conventional arms and the ship was violating United Nations resolutions against arms trafficking. A Change of Course in Cuba and Venezuela? is republished with permission of STRATFOR. Once that statement hit the headlines, Castro backtracked. Dressed in military uniform for the first time in four years (which we suspect was his way of signaling that he was not abandoning the revolution), he delivered a rare, 35-minute speech Sept. 3 to students at the University of Havana. In addition to spending several minutes on STRATFOR’s Iran analysis, Castro addressed his earlier statement on the Cuban model, saying he was “accurately quoted but misinterpreted” and suggesting that the economic model doesn’t work anymore but that the revolution lives on. In his nationally televised speech in April, Castro … had harsh words for those who do little to deserve their salaries. “Without people feeling the need to work to make a living, sheltered by state regulations that are excessively paternalistic and irrational, we will never stimulate a love for work,” he said. … low pay means low productivity. On Obispo street, a state-run cafeteria sells heavily subsidized soft ice cream and pork sandwiches for the equivalent of a few American pennies — meaning wages and tips are so tiny that the staff is completely indifferent toward customers. “They are gearing up totally for the destruction of Iran,” according to Dan Plesch, director of the Centre for International Studies and Diplomacy at the University of London. “US bombers and long range missiles are ready today to destroy 10,000 targets in Iran in a few hours,” he said. “The firepower of US forces has quadrupled since 2003,” accelerating under Obama. 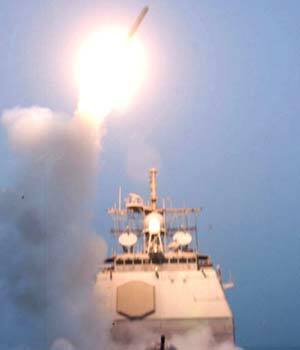 The Arab press reports that an American fleet (with an Israeli vessel) passed through the Suez Canal on the way to the Persian Gulf, where its task is “to implement the sanctions against Iran and supervise the ships going to and from Iran.” British and Israeli media report that Saudi Arabia is providing a corridor for Israeli bombing of Iran (denied by Saudi Arabia). The Obama administration has been rapidly expanding its offensive capacity in the African island of Diego Garcia, claimed by Britain, which had expelled the population so that the US could build the massive base it uses for attacking the Middle East and Central Asia. The Navy reports sending a submarine tender to the island to service nuclear-powered guided-missile submarines with Tomahawk missiles, which can carry nuclear warheads. Each submarine is reported to have the striking power of a typical carrier battle group. According to a US Navy cargo manifest obtained by the Sunday Herald (Glasgow), the substantial military equipment Obama has dispatched includes 387 “bunker busters” used for blasting hardened underground structures. Planning for these “massive ordnance penetrators,” the most powerful bombs in the arsenal short of nuclear weapons, was initiated in the Bush administration, but languished. On taking office, Obama immediately accelerated the plans, and they are to be deployed several years ahead of schedule, aiming specifically at Iran.